One look. One look into those tantalizing eyes, that’s all I ask. I can’t help it; I want him. 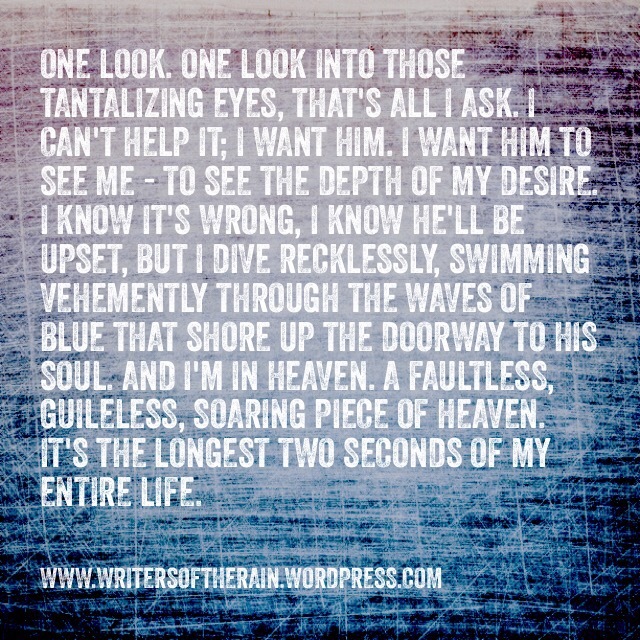 I want him to see me – to see the depth of my desire. I know it’s wrong, I know he’ll be upset, but I dive recklessly, swimming vehemently through the waves of blue that shore up the doorway to his soul. And I’m in heaven. A faultless, guileless, soaring piece of heaven. It’s the longest two seconds of my entire life.